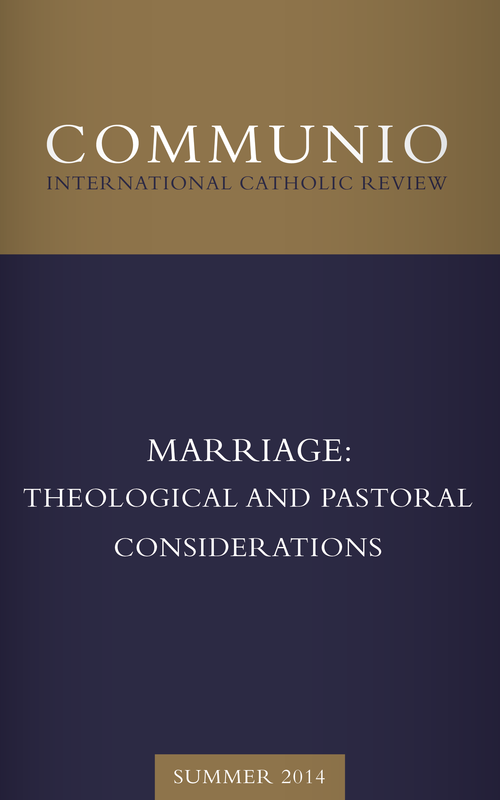 In view of the upcoming Extraordinary Assembly of the Synod of Bishops, in these remarks I would like to reflect on two aspects of the reality of marriage and the family: the first is anthropological in nature and the second sacramental.1 They are closely interconnected. From an anthropological perspective, the reactions to the questions in the “Preparatory Document” show the existence of a significant disconnect, though this varies according to continent. On the one hand, the fundamental lessons taught by experience and by Christian doctrine continue to be considered and proposed as the expression of love’s ideal. On the other hand, they are perceived by many as ultimately unsuitable to the emotional experience of the men and women of our time.2 This state of affairs prompts us to study in greater depth the intrinsically pastoral character of Christian doctrine, according to the teaching of Vatican Council II, lest the gospel of the family become irrelevant especially in those societies that have largely fallen away from the practice of the Christian faith. 1. The Holy Father has examined in depth, on important occasions, the themes 1) of the original character of the difference between the sexes, a positive reality willed by the Creator himself, by virtue of which 2) the individual person is introduced to love, 3) to the discovery of the good of the other, 4) to the faithful, fruitful gift of self, and 5) to happiness. Thus it is understandable that the Pope should choose to engage the whole Church in a cogent reflection on the family and, for the first time, to dedicate two Synod assemblies to it. Cf. Francis, Lumen fidei, 52; Evangelii gaudium, 66; Address to Engaged Couples Preparing for Marriage (14 February 2014); General Audience (2 April 2014). 2. Cf. Instrumentum laboris, “The Pastoral Challenges for the Family in the Context of Evangelization” (hereafter IL), 13 and 62.